RY4 by Webster’s One Pound Wonder is one for the tobacco connoisseurs. RY4 is a famous e-liquid flavour blending rich tobacco with sweet caramel, and topping it all off with a touch of vanilla. 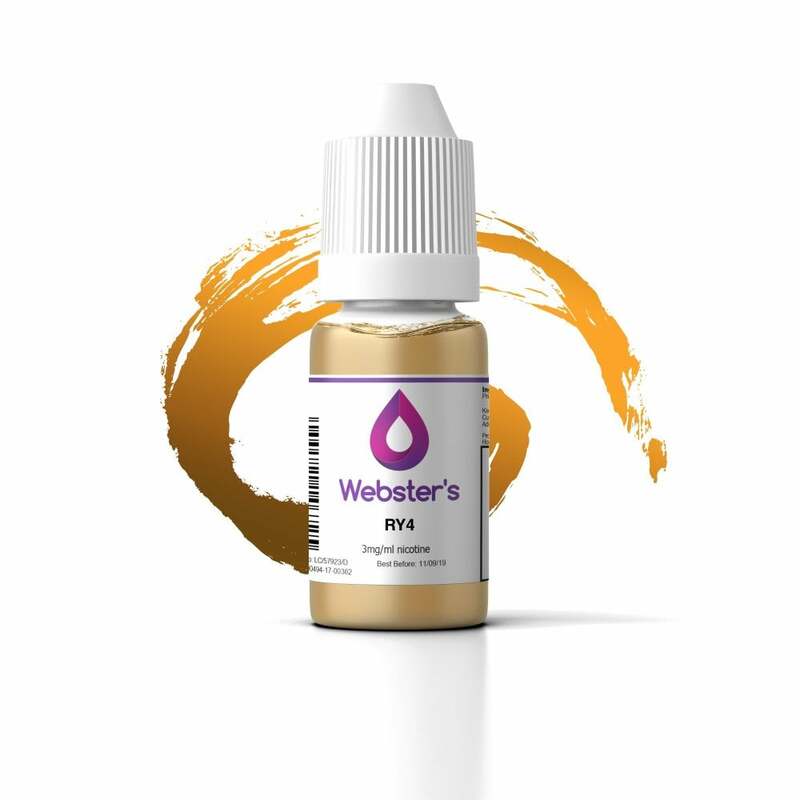 If you’re looking for a tobacco blend with a hint of luxury, Webster’s RY4 is one to try. I've tried lots of tobacco flavour liquids and I've thrown them away because they were revolting. I've just received my 1st bottle of Websters Ry4, I thought I'd try it for £1 as it's not a lot if I didn't like it, but hey ho I love it. I think it has a very slight hint of toffee and I will definitely be ordering more. Try the strawberry one as well, I order 10 bottles every month. Excellent product. Ok. In some ways the subtlety of the flavour is a good thing. Some other RY4s are too much. Decent enough but prefer Dinnerladys caramel tobacco. Not as good as other cheap e-liquids out there. Mist is the best followed by One Pound. Acceptable though. Great taste and plenty of vapour, can't go wrong at that price. Webster's RY4 - a proper caramel taste - very nice RY4. Goes really well mixed with Vanilla. Shall order it again. Amazing price to quality ratio. Taste is subtle and smooth, mildly caramel-y, and there is a slight throat hit that I enjoy. Delicious dark fruity flavour. Nice bottle. Cant believe the price. Superb. Great taste and aroma from this eliquid .